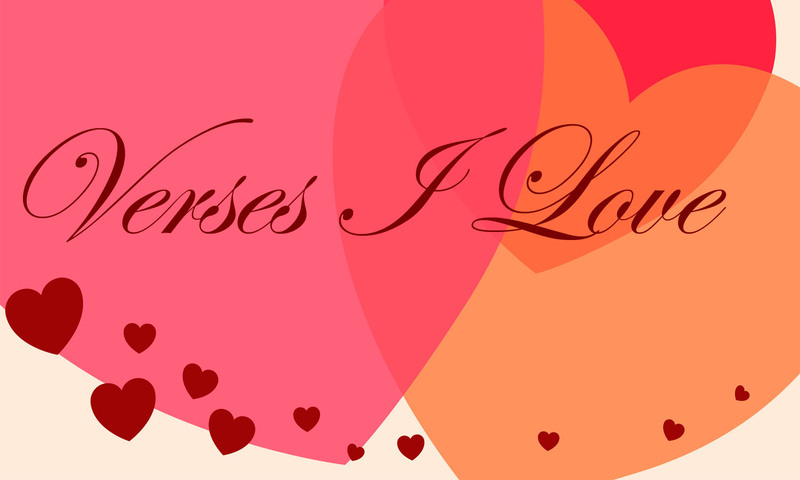 I’m still counting down to Valentine’s Day (or, as I like to say, “Valerie Day”) by sharing a verse that I love each day until February 14. Thank you so much for joining me. Today’s verse is one that I needed desperately when I was graduating high school. I wasn’t sure what I wanted to do with my life. I wasn’t short on ideas, in fact, it’s kind of a family joke that I wanted to do just about everything. I can still recall the pastor’s wife asking me when I was five years old if I wanted to be a Gospel singer when I grew up. (I’m sure she heard me prattling on about it at some point.) I confidently said, “Oh yes!” as though I had a contract in hand. And that was only the beginning! I dreamed of becoming a lawyer, judge, Congresswoman, librarian, bank teller, teacher, writer, doctor, and even an investment broker! I also wanted to be a wife and mother along with one of those careers. But those were just dreams. I never considered that high school would actually have the nerve to end! I mean, not till I was ready. Okay. But which college? And what major? Or, what job? And where can I get an affordable car? I still had more questions than answers. That’s when I heard this verse during a sermon. To be honest, I don’t remember what Bro. Graham, my pastor, was preaching about that day. I only remember this verse. He read Psalm 27:11 and then commented, “David didn’t ask God for an easy path or a happy path, he just asked for a plain path. He asked the Lord to make it clear which path he should take.” That was it! That’s what I wanted to know, too! At the invitation, I all but ran to the altar and repeated David’s words. “Give me a plain path, Lord. Show me clearly what I should do.” I prayed that prayer many times in the following days. And the Lord answered my prayer! There isn’t time to share every detail, but you can read about most of it HERE. I know it sounds trite, but God’s Word has every answer to every problem. All we have to do is read it. I love how just at the right time God gives us a verse that makes all the difference. It’s interesting how the meaning of that Scripture changes depending on what we need. Anyhoo, enjoying your series Valerie. Have a wonderful Lord’s Day! You are so right. He will direct our paths, and yours has been filled with adventures. You shine the light of HIs word to see where to take the next step, and I am trying to do that also.